Inasal is one of the most popular recipe in the Philippines when it comes to grilled chicken meat. The word “Inasal” has its roots from Spanish word asar which means “to roast.” Nowadays, “Inasal na Manok”, which originated in the “City of Smiles” has been synonymous to grilled chicken. This popular dish from Bacolod City, Negros Occidental differs from the other barbeque chicken delicacies in the country as there is nothing sweet used in the marinade. The marinate also does not make use of soy sauce and consists of other ingredients to create a unique flavor. While there is no single Inasal recipe, the marinade is usually a combination of chilis, coco vinegar, lemon grass, garlic, ginger and turmeric. Juan Stop Inasal offers the authentic Chicken Inasal. 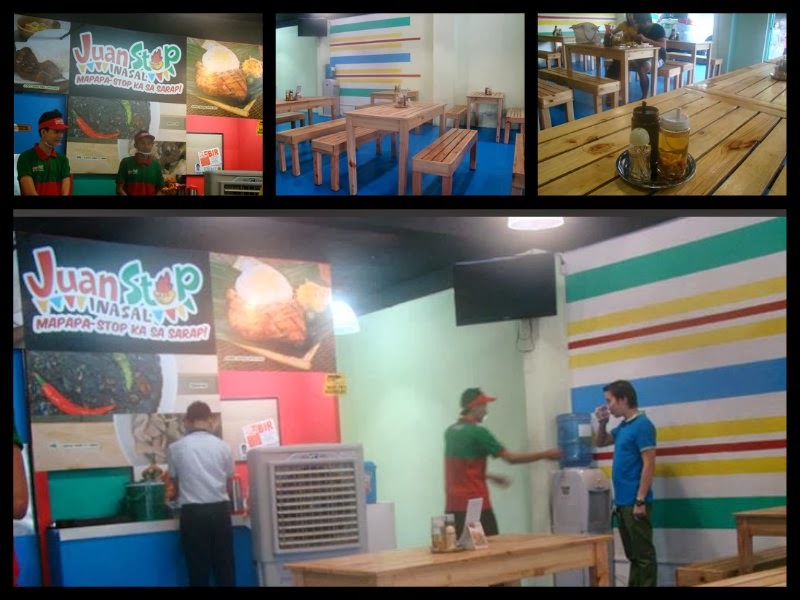 Juan Stop Inasal is a family business venture of Stephen Po, Emily Po and Lourdes Po. Their main business is poultry, so the chicken inasal they serve comes fresh from their poultry farms in Laguna, Cavite and Batangas. Glad I didn't have second thoughts travelling to N. Domingo, QC to join in the first batch invited to get a taste of its food offering. Batchoy was served while waiting for our Chicken Inasal. You can add this on your Chicken Inasal Meal (P 105 pesos) for additional P 35 pesos only. Juan Stop Inasal manages to cook exactly the way I like my chicken inasal. The tangy chicken was all done without burning them to a crisp. Inasal was served hot together with java rice paired with "sinamak" or soy sauce with calamansi and siling labuyo (red chili peppers) plus atsara (pickled papaya relish). Next in line were Pork barbeque plus two variants of inihaw na liempo--plain (salt and pepper) and with hickory sauce. We were also served Sisig and KBL (Kadyos, Baboy at Langka). KBL is an Ilonggo soup dish made up of pork usually pork hocks with pigeon peas and unriped jackfruit. Overall, the dining experience was good. 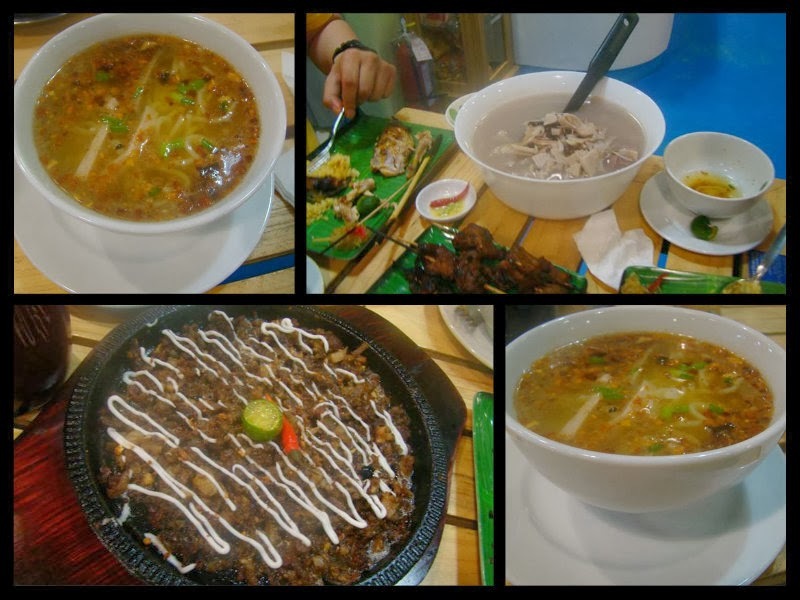 I sure would like to bring my family over for an Ilonggo culinary experience they will surely enjoy.